The office and clinical staff are so friendly and accomodating, I was treated in a very professional manner with explainationof my plan of treatment and follow up. I am extremely happy with their care and services plus!, the office staff is wonderful! The office and clinical staff are so friendly and accomodating, I was treated in a very professional manner with explaination of my plan of treatment and follow up. I am extremelyhappy with their care and services plus!, the office staff is wonderful! Excellent doctor, she has great ability to help patient, very professional her staff is great and professional too. I highlyrecommended Dr. Forero and her staff. Excellent doctor, she has great ability to help patient, very professional her staff is great and professional too. I highly recommended Dr. Forero and her staff. Dr. Julie Forero is a skilled dermatologist with a strong research background and more than a dozen published scholarly articles to her credit. She looks after the people of Lake Worth, FL, where she is a part of Waters Edge Dermatology. Patients visit her for a host of medical concerns, including acne, hair loss, warts, nail problems, fungal infections, and skin cancer. 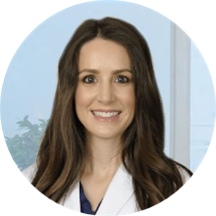 Certified by the American Osteopathic Board of Dermatology, Dr. Forero earned her medical degree from Touro University, Vallejo, followed by an internship at O’Bleness Memorial Hospital. Subsequently, she completed a residency in dermatology at Larkin Community Hospital. Dr. Forero is a member of many medical societies, including the American Osteopathic College of Dermatology, the American Academy of Dermatology, and the American Society for Dermatologic Surgery. Her philosophy for skin care is simple: it should be easy, intelligent, and safe, and help you feel great not only on the outside but the inside as well. Very professional & highly responsive. Friendly staff. Would recommend. Doctor Forero and Margarita were very pleasant. I enjoy my time with them. Very professional.